Lightweight, well made, sturdy, anti-slip, secure, reliable, and good price. Easy to use, holds the phone very well, the button works great and takes great pictures. Plug and Play, no Bluetooth or charging required. Extendable up to 28.7 inches and fold back to 7.4 inches. Support iOS 5.0 and Android 4.2 system or over. The package includes Selfie Stick, user manual, lifetime warranty card. The extended rod can be stiff. May have a hard time to get the phone in. May not work with Galaxy 3 even after downloading the Camera360 app. The tightening knob may not be that durable. The button on the stick handle may not work sometime. The pole may spin around instead of holding the phone in place. This is the summary of consumer reviews for JETech Battery Free Selfie Stick Extendable Cable Control Self-portrait Monopod Pole. The BoolPool rating for this product is Good, with 4.00 stars, and the price range is $7.99-$24.98. Now you can have a fabulous vacation with some great photos with friends and family with JETech Battery Free Selfie Stick. No Bluetooth or charging required. Just pull the holder, insert the cable into the earpiece, extend the selfie stick, and press the button. The stick can extend up to 28.7 inches, fold back to 7.4 inches, and can rotate to 270 degrees. It supports iOS 5.0 and Android 4.2 system or over. The package includes Selfie Stick, user manual, lifetime warranty card. 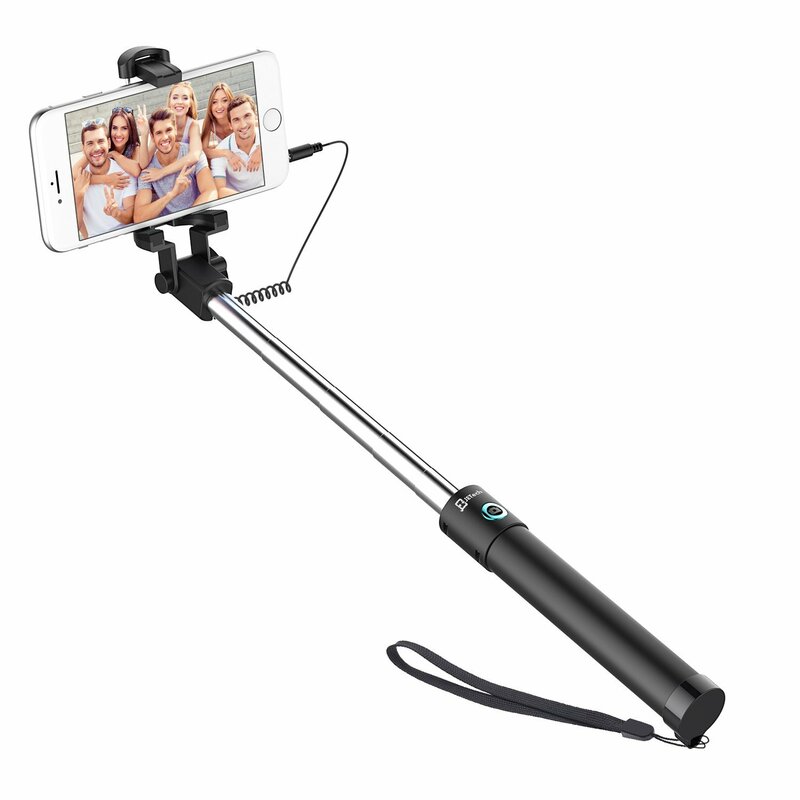 Users love JETech Battery Free Selfie Stick as it is easy to use and takes great pictures. The stick is lightweight, well made, sturdy, anti-slip, and secure. It holds the phone very well, and the button works great. It is very good quality at an affordable price. However, a few found the extender rod stiff, hard time to get the phone in, does not work with Galaxy 3 even after downloading the Camera360 app, the tightening knob broke after a week of use, the button on the stick's handle just stopped working, and the pole spins around instead of holding the phone in place,. 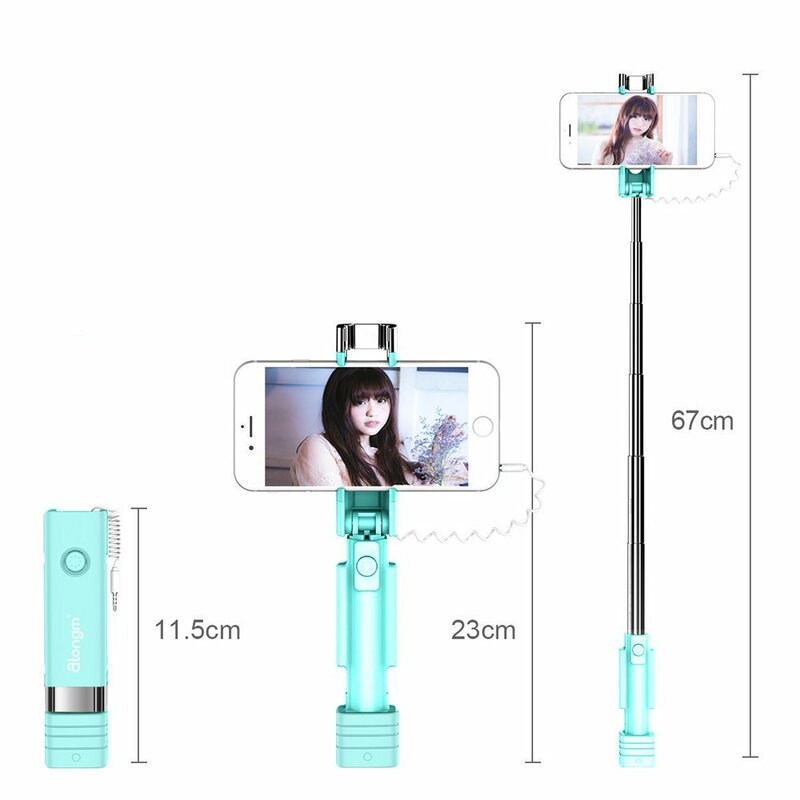 Overall, JETech Battery Free Selfie Stick is a good quality product to play around for the upcoming trip. The tightening knob broke after a week of use. Well made and easy to use. Just plug the little cord into the headphone jack and good to go. Happy and satisfied with this purchase. Took a lot of selfies last week and I'm very happy with it performance. The tightening knob is almost broken after only 1 week of use. We used this selfie stick on our recent trip to China and we're happy with how well it's made and the ease of use. I've only had it about a week. Now I'm really happy and hope to use it alot this summer. Got some great family photos and am so happy I'd this with me on vacation!. I bought the selfie stick like a week ago and there was a broken piece so I emailed the seller and they very respectful offer to send me a brand new one without making it a big deal or charging me the shipping fee. I bought it specifically for an upcoming trip to the Grand Canyon, but we've been enjoying playing around with it. Just plug the little cord into your headphone jack, and you're good to go. Lightweight, reliable, and takes great pictures. The button on the stick's handle just stopped working. Always reliable and easy to use. The extender rod is stiff. It's very easy to use and works perfectly every time, plus, you can't beat the price!. Easy to use..however the button on the stick's handle just stopped working.. Always reliable and easy to use. Easy to use and takes great pictures. The extender rods are quite stiff which I suppose inst the worse thing but not always easy to work with, the cord seems like it may break easily but for what I payed it's definitely worth it. I've a Samsung Galaxy Note 3. You do have to go in and change the settings but the instruction guide will show you haw and it's easy. got very upset..I used this stick only 3 times.. Right price, great little gadget. Decent quality for the price you're paying. Great price cant beat it!@. Great Selfie Stick, especially for the price. Very good quality at an affordable price! For the price, quality, and capabilities, this one is a winner. Good price, good shipping rate, and does it's job!. This's my 3rd one, (they aren't the most durable little guys) but for the price, i love it! 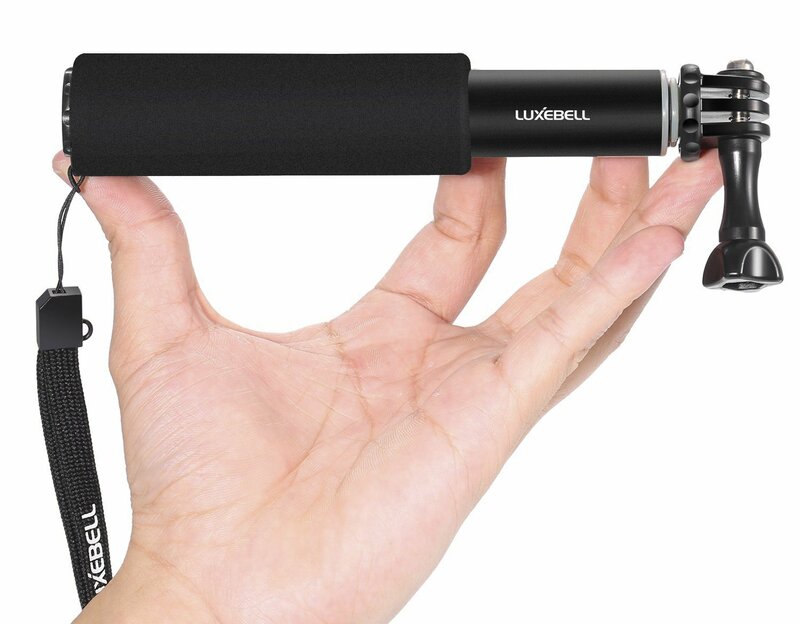 There are better selfie sticks out there, but most likely not at this price point. shipping was one day late (i don't really care though) but all in all, for the price, you can't really beat it. Even after downloading the Camera360 app it did not work with Galaxy 3. Just plug into your phone and it works great. Didn't work at all with my Galaxy 3. Even when I downloaded the Camera360 app, it still didn't work. Worked on my husband's iphone. Bought this for my son and he loves it, works perfectly and holds his phone with no problem. It worked right out of the box with my 5S, so I presume it works well with all relatively modern iPhones. At first couldn't get the camera on my Moto G to work with the Selfie Stick and on contacting JETech, a replacement was sent within a day.This time I'd a LGL41C along with the Moto G.I tried the Selfie Stick on the Moto G but the camera didn't work, however it DID work on the LGL41C.Manual said to download Camera 360, which I did but still didn't work with pushing the button. Didn't work for my Samsung galaxy s5, zoomed instead of snapped pic. Thanks JETech for a cheap yet well built product. It seemed to work fine the first day, then all of a sudden the tightening screw wouldn't tighten anymore. Didn't give up and on exploring Camera 360 ,I found a timer which I set at 3 secs and the camera on the Moto G DID work with the Selfie Stick. Holds the phone very well and the button works great. Love that it was among the cheaper options, but works well! worked right out of the box. I'd to download the Camera 360 app to work with my phone, but that's a free app and I love the photo options of the app. Otherwise it fit all other phones I tried it with and worked with both Android and iOS. I tried chaning the volume button setting but nothing works. item didn't work as claimed, defective. The only thing is that sometimes the button on the handle doesn't work, so I've to mess with it for quite a while most of the times, before it actually works. Works awesome and was such a great deal for the price. Easily adjustable to fit different phones. The adjustable part that holds the phone is very sturdy and no worries about the phone falling. The phone holder is anti-slip and very secure. Hard time to get the phone in than to phone out. The pole spins around instead of holding the phone in place. Easily adjustable to fit different phones. It works well with our Samsung J7 smart phone. I immediately though well if it's fitting small phones then how's my large phone going to fit. The brace for your phone is a little tricky so be careful placing the phone in it or it'll pop off and then say goodbye to your $600 cell phone. The adjustable part that holds the phone is very sturdy and I've no worries that my phone will fall. I've the T Mobile Samsung Galaxy Note 4 and it works well with my phone. The phone holder is anti-slip and very secure. Somewhat hard to attach to large phones. I'd a hard time getting my phone in. Then a hard time getting my phone out. The pole spins around instead of holding the phone in place.